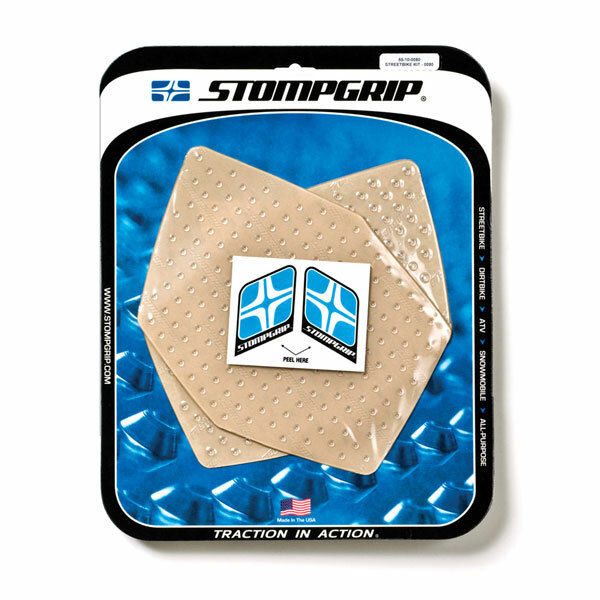 STOMPGRIP™ TRACTION PADS make gripping your ride incredibly easy, and requires less energy to hold on to the bike. Provides better bike control, reduces arm pump and saves your pants and boots. Custom designed to fit frames, gas tanks, side panels, air boxes, shrouds, and more.